As we have learned from the Global Warming alarmists, children are the enemy. This Jimmy Kimmel video proves it. A new wave of anxiety is sweeping the country and scaring the crap out of our little ones. The media notes it, but doesn’t EVER call for a more rational tone. Why? Because, in their eyes, the kids should be scared. 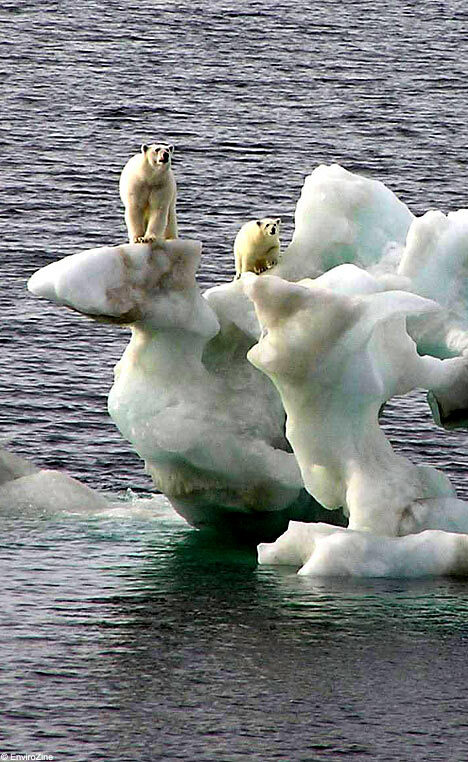 After all, polar bears are forced to stand on smaller and smaller pieces of ice. Well, if this video is to be believed, I’m going to side with the MSM on this one. Those little buggers brought the new Black Plague upon us and they deserve every sleepless night they get. Huzzah! That video is just more evidence that the Global Warming debate is OVER. The Goracle has spoken. End of story. Awesome video. Notice that not one single leftist has committed suicide to reduce their global warming impact? They might Belchy, but self-immolation releases a ton of CO2. Congrats Swampy…I’d get into the competition, but I’m already into about a dozen blogs (though I rarely comment anywhere else). What California group waited 22 years to score their first chart-topping single since 1966? AND (not on Mitchieville) what was the name of the song? Hint. If you watched Scrubs last night, it was referenced. Oh wait. This is a thread about Global Warming. My bad. Still…a Rubios fish taco to the first one who can get the correct answer without cheating. That must be why today my daughter said to me “You know what scares me the most? Global warming!” It used to be Spongebob.